When you see the ‘last’ exhibition of artist you very much admire, there are always conflicting emotions. Not simply joy at the work, sadness for the death of the artist, although obviously that is part of it. There is a question that sometimes arises about whether the last work was really ‘finished’, whether the quality control of the artist has been compromised, or indeed if the artist was still fully up to the task. I have been an ardent fan of Cy Twombly’s paintings for many years. I first came across them in books about Abstract Expressionism, but they seemed to be on a different plane. They had abstract qualities for sure, but the cursive gestural qualities belied a lyrical relationship with writing and the colours and textures evoked images in ways none of his forbears (with the exception of de Koonig) could rival. I was fascinated too when I read that he had done drawings IN THE DARK…that seemed like a kind of madness, an inspired journey to the inside of drawing. I remember being struck dumb by a huge triptych in Germany that seemed the most alive painting that I had ever seen, and the early works in his Tate Modern retrospective were thoroughly seductive. 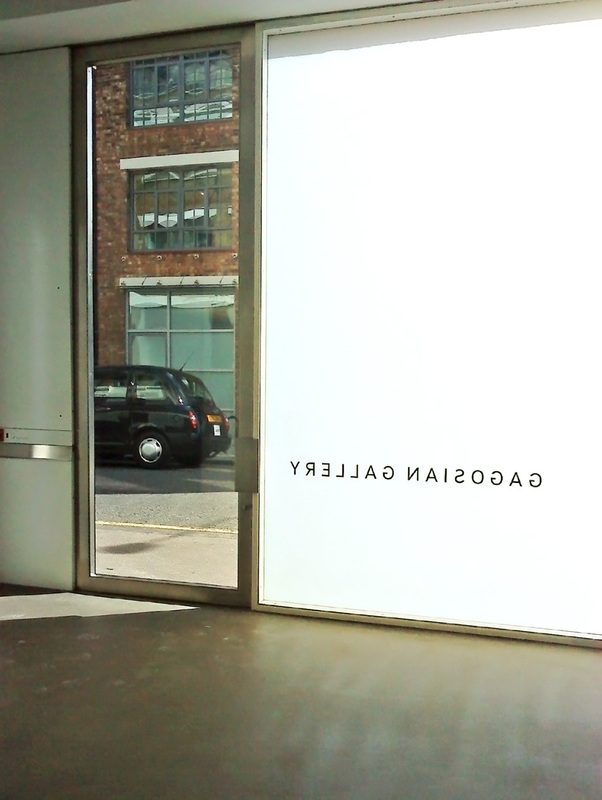 But then at this last show at the very impressive, indeed jaw-droppingly appointed Gagosian gallery in Kings Cross (see pic), feelings were as I say – conflicted. Sadness, yes but also a lack of connection. I just can’t help wondering if these sprawling canvasses in their bizarrely Rastafarian colours have anything to communicate to me. And yet they were so vibrant, full of vigour not the work of a tired old man. I paused and go into a side room where there is an obscure display of Twombly’s photographs. Ideas in gestation, images half formed they are hard to apprehend, so unlike (to my eyes anyway) the immediacy and clarity of his best paintings. Going back into the other room the paintings seem harder to get than ever. Maybe I will have to wait a while for them to work for me. This entry was posted in Art, London, Painting, Uncategorized and tagged Art, Gagosian, Kings Cross, London, Painting, Twombly.